Creating animated GIFs is about the ONLY thing I can do reasonably well with Gimp. You do that by opening series of images at once and requesting that they be opened as layers. Then you can save (export) as a .gif file, and it will give you the option to save all the layers as an animation. It will also give you the ability to specify the timing and the replacement mode for each image (replace or overlay). There's also a syntax (that I don't remember) to add a unique timing for each frame if they need to be different. Since it's a matter of taste, we could make different themes available, and people could choose their own theme that they would see when logged in. But we'd still have to decide what the site should look like to people who are not logged in. That's the tricky part, and it might be a good topic to bring up for the Board of Directors (currently a "Trial Board of Directors"). So before you do any work on it, let me start a topic for this in the Board of Directors area and see what everyone thinks. We're still working out our procedures for bringing things up to the Board, and our current process allows any member to post topics for the Board to discuss in that location. It's up to the individual Board members if any of them wants to bring it up as a topic of discussion for the Board. Those discussions are held privately with the understanding that the discussions will be made public once a decision is reached. I'll give the other Board Members some time to post their own ideas before I make my suggestions, but I suspect we'll want to develop a prototype that we can vote on. An easy way to do that would be to just screen capture various forum pages (like the home page, a subforum page, and a topic page) and draw directly on to them. Just draw over what we already have and post your suggestions. There are dozens (if not hundreds) of styles available, and you can browse through them to get ideas (use the "Select a style" button). I can easily add new subforums to try out different styles live if we get to that point. Harry, I think you could do a great logo for the Friends of Dockweiler Gliding Society. It could be something fairly simple from what I would guess is your collection of Dockweiler related drawings from years past or more complex like the 9/9/2000 poster. I'm personally attached to that poster because it contains all those signatures from HG / Dockweiler history but I realize that is a very complex image for a logo. Any thoughts about this? I think that's a SUPER idea!!!!!! Harry can design a super style for the FDGS forum!!! Harry, please start a topic in the FDGS forum and post your artwork for various buttons etc there and I can install them into the FDGS forum style. How does that sound? On a scale of 1 through 10 with ten being the best. Yes put Harry to work. billcummings wrote: Yes put Harry to work. Isn't it great how the US Hawks Board members can sit back and assign work to other people. Of course, as a fellow Board member, I'll follow Bill's lead. Let's continue the discussion there. Thanks!! This works like a charm. Kudos to Skagit Signal. You can eliminate this message using Synaptic. If you don't have Synaptic Package Manager installed, go to 'Terminal' and type 'sudo apt-get install synaptic'. Launch Synaptic, go to /Settings /Repositories and click the Other Software tab. Highlight the line that contains Google Earth, then click the Remove button. Click Close and Reload. The message should be gone. Google Earth will no longer be updated automatically, so you may want to manually update in the future. Thanks to Charles Timms for pointing out the message. 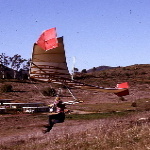 Margie recently sent this to me from her son Kevin (both with some hang gliding experience). Depending on your screen width, you might have to scroll to see the Linux section. Thanks Margie and Kevin. . . .
Haha Bob. Kind of a dated critique of Linux. Still true for house of cards Windows and geek-hostile Apple. I'm using the latest release of Ubuntu Linux. I love it. You don't have to be a nerd anymore. With Chrome 64-bit, it plays HBO over Amazon and every video stream flawlessly. NBC Sports, Epix and Starz. And Ubuntu Linux is free. So is the best software. All open-source. No sneaky stuff! I have Windows 10 on the other hard drive but I rarely use it for the regular things you do on computers. I no longer do word processing on Windows 10. Too many blue screens of death led me to UNIX. I've never lost a thing on Linux. My advice is not to share a hard drive with different operating systems. Just pop in another HD and install Linux on it. Bulletproof. The boot screen asks which OS you want to run. Go here to burn an installation DVD.